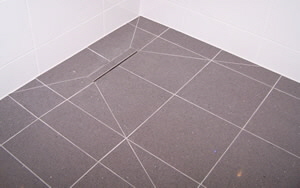 Formerly trading under the name of Geoff Simpson - Master Tiler, the firm has now formally changed its name. All staff remains the same and the business has been streamlined, with new vans and a new revamped image to keep pace with modern day appearances. Our unblemished reputation for quality remains the same and stays abreast with any new technological advances so that you the customer receive the best possible service available. Please look through our reputation reports, we are sure you will be impressed, and we look forward to being of service to you now or in the future. Please call to arrange a FREE quote and home visit. We look forward to your call! Office: 01903 722346 or mobile: 07799 678369. 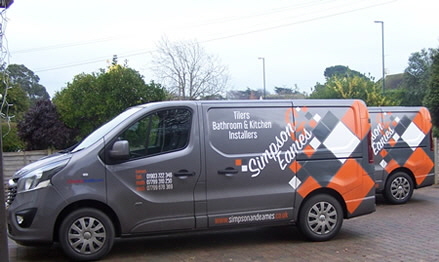 We are locally based in Worthing and have a knowledgeable and experienced highly skilled team ready to assist and advise you on your kitchen fitting and bathroom fitting requirements. 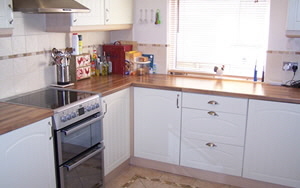 We have expertise in designing and fitting kitchens, fitting bathrooms and shower rooms which many of our Worthing based customers appreciate; read our feedback for customer comments. 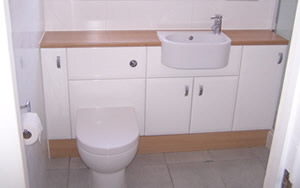 If you are searching for bathroom fitters or kitchen fitters in or around the Worthing region, then call us today on Worthing 01903 722346; don't delay, start your dream planning now!